James Griffiths-Dylak in Food on 29 November, 2017. 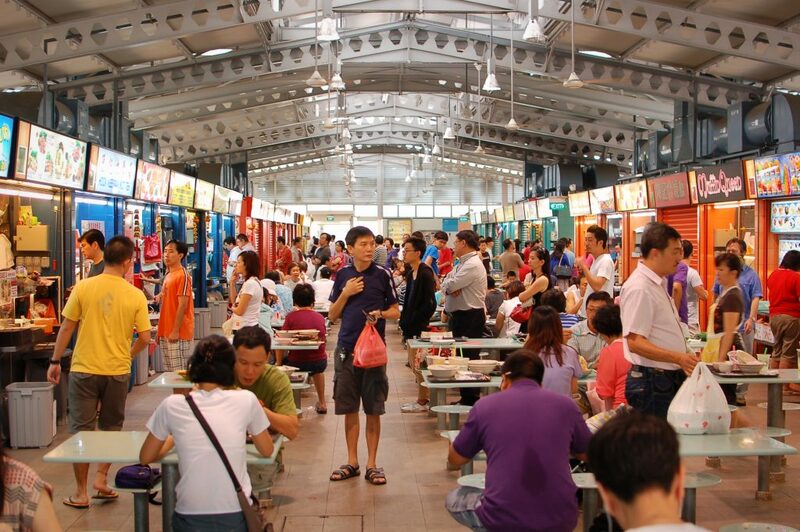 I recently spent two weeks in Singapore and discovered the joy of eating at the incredibly cheap hawker markets, which sold every variety of Asian cuisine known to man. Upon my return to England, I was determined to recreate some of my favourite dishes. Some, of course, are almost impossible to make here, as many ingredients aren’t available in the UK. However, I asked my Singaporean friends for some help in creating the following recipes, and have substituted in more readily-available ingredients. Having said that, you may want to visit Newcastle’s Chinatown for a shopping trip at some point for a more authentic experience. Serves 6, so make this when you have friends round. It requires quite a few ingredients, so you might want to ask your friends to bring some of them round to even out the cost. Alternatively, Laksa freezes well, so you can save some for when you come home on a cold winter night and don’t want to spend time cooking. You can, of course, change the number of chillies in this recipe depending on how much spice you can handle. If you cannot find fish sauce, just add a couple of extra teaspoons of salt instead. 1. Blend all the paste ingredients with 40ml water until smooth. 2. Heat the vegetable oil in a large pot over a medium heat. Stir fry the paste for five minutes before adding the prawns. 3. Pour in 1.4 litres of water, then add the salt, sugar, and coconut milk. Combine well, then cover. Bring to the boil, then turn down the heat and allow to simmer for 15 minutes. 4. Reduce the heat again to medium-low and add the tofu, beansprouts, and lime juice. Cook for 2 minutes. 5. Meanwhile, blanch the noodles in boiling water for 2 minutes and drain. 6. Transfer the noodles into bowls, pour over the curry, and serve. Serves 2. This is a simple, delicious dish and shouldn’t take too long to cook. 1. Slice the beef thinly and mix with all the seasoning ingredients. Leave to marinade for 20 minutes. 2. Separate the rice noodles with your fingers, so that they do not stick together. 3. Heat a wok or frying pan until it smokes, then add 2 tbsp. oil to coat the pan. 4. Add the marinated beef slices, and fry for about a minute each side. 5. Remove the beef and set aside. 6. Add 2 more tbsp. oil to the pan, then add the onion, ginger, and garlic. 7. Stir fry for 30 seconds, before adding the beansprouts and frying for another 30 seconds. 8. Add the rice noodles, beef and spring onion, and a little more soy sauce if it needs it. 9. Remove from the heat and serve immediately. Makes 4. Adding mango puree or some other exotic fruit when the pudding has set makes this great recipe into a fantastic one. The pudding itself isn’t actually sweet; that depends on the amount of sugar syrup you pour on top, so really this recipe is quite customisable. The tapioca pearls are available from the Golden Pearl shop on North Road. 1. Bring the water to boiling point in a saucepan, then add the tapioca. Cook on a medium high heat until it turns translucent. 2. Drain and rinse the tapioca under running water to remove any excess starch. 3. In small bowls or a muffin tin, mould the tapioca, and store in the fridge for 2 hours until it is firm to the touch. 4. Boil the coconut milk with the salt and then set aside to cool. 5. Melt the brown sugar in 3 tbsp. water in a small saucepan at a low medium heat, then set aside to cool. 6. When the pudding is ready, pour over the coconut milk and sugar syrup, and serve immediately.